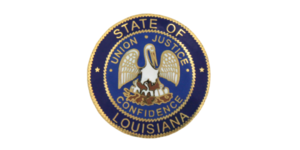 These lawyers were the subject of Louisiana Supreme Court disciplinary orders or Louisiana Attorney Disciplinary Board recommendations published during the month of February 2019. Oscar Augusto Araujo. The court suspended the respondent for six-months, with all but 30 days deferred. The respondent mismanaged a client trust account and made a false statement of material fact to the ODC. William Christopher Beary. The court suspended the respondent by consent on an interim basis pursuant to Louisiana Supreme Court Rule XIX, § 19.3. Sean C. Brazil. The court disbarred the respondent retroactive to the date of his interim suspension. The respondent submitted false and inflated billing records to his former law firm. Arthur Gilmore, Jr. The court readmitted the respondent to the practice of law, subject to a three-year period of supervised probation. The court previously disbarred the respondent for a federal racketeering conviction. Philip Martin Kleinsmith. The court disbarred the respondent for the conversion of client funds. 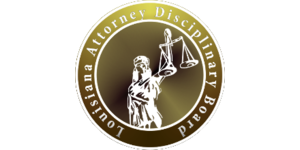 The respondent had been disciplined in another jurisdiction for this misconduct; ODC filed a Petition to Initiate Reciprocal Discipline Proceedings, which the Louisiana Supreme Court granted. Lauren G. Coleman. The court suspended the respondent for one year, all deferred, subject to a one-year period of unsupervised probation. The respondent employed a disbarred lawyer as a paralegal in violation of Rule 5.5. Aubrey E. Denton. The court suspended the respondent for one year and a day, all deferred. The respondent mismanaged his client trust account. Jennifer E. Gaubert. The court suspended the respondent for 6 months. The respondent was convicted of criminal battery and criminal mischief in violation of Rule 8.4(b). Brian L. McCullough. The court suspended the respondent by consent on an interim basis pursuant to Louisiana Supreme Court Rule XIX, § 19.3. Christopher G. Young. The court suspended the respondent for one year and a day. The respondent pleaded guilty to accessory after the fact to the crime of interstate transmission of obscene and pornographic materials. Attlah D. Burrell. The board recommended that the court reinstate the respondent. The court had previously suspended the respondent for failing to supervise her nonlawyer employees and facilitating the unauthorized practice of law by a suspended lawyer. Julie Ann Fuselier. The committee recommended that the court reinstate the respondent, on the condition that she fully comply with her JLAP recovery and monitoring agreement. The court had previously suspended the applicant for committing a criminal act in violation of Rule 8.4 (b) by breaking into her ex-husband’s home and stealing jewelry. Lynden James Burton. The committee recommended that the court suspend the respondent for one year and nine months, retroactive to the date of his interim suspension. The respondent, and co-respondent Lucretia Patrice Pecante, pleaded guilty to 6 misdemeanors for failing to file a tax return in violation of Rule 8.4 (a, b, c). Lucretia Patrice Pecante. The committee recommended that the court suspend the respondent for one year and nine months, retroactive to the date of her interim suspension. The respondent, and co-respondent Lynden James Burton, pleaded guilty to 6 misdemeanors for failing to file a tax return in violation of Rule 8.4 (a, b, c). Robert Wesley Malone. The committee recommended that the court suspend the respondent for one year and one day, and order her to pay restitution, refund unearned attorney fees, return client files, and pay all costs associated with the disciplinary proceedings. The committee found that the respondent violated Rules 1.3, 1.4, 1.5, 1.16, 8.1(c), and, 8.4 (a). Raymond C. Burkart III. The committee recommended that the court permanently disbar the respondent. The respondent violated Rules 1.3, 1.4, 1.5, 8.1(c), 8.4(a), 8.4(b), and 8.4(c). Kevin Matthew Dantzler. The committee recommended that the court permanently disbar the respondent. The respondent failed to cooperate with the ODC, mismanaged his client trust account, failed to complete mandatory continuing legal education services, and failed to pay bar and disciplinary dues. Candace P. Howay. The committee recommended that the court suspend the respondent for three years and order her to pay restitution in the amount of $3,000.00. The committee found that respondent violated Rules 1.1, 1.3, 1.4 (a) & (b), 1.5 (f)(5), 5.5 (a), 8.1 (b) & (c), 8.4 (a) & (c). She failed to provide competent representation to a client, failed to act with reasonable diligence, failed to keep her client informed about the client’s matter, failed to return an unearned fee, engaged in the unauthorized practice of law, and failed to cooperate with ODC. Darrell K. Hickman. The committee recommended that the court suspend the respondent for one year and a day, with all but 6 months deferred. The committee also recommended that the respondent successfully complete: (1) an ethics school program sponsored by the Louisiana State Bar Association, and (2) a training session on time management and law office practice to improve efficiency and client communications. The committee found that the respondent handled a divorce matter incompetently, with a lack of diligence, and without properly communicating with his client.